Have you checked how many reviews you have on your business social media pages, how many reviews you’ve gotten from sharing on social media? Have you considered how important these reviews can be to drive more business your way? According to 91% of marketers having a social media presence has increased their business exposure. This isn’t just merely because of presence but also due to the fact that visitors can access reviews about your business on these platforms. Whether you sell a product or a service, a customer always wants to see real people talking about your brand. This not only lets them relate more to the product. But also gives them a clearer idea about the effectiveness of your product. Customer reviews form an integral part of the decision-making process for a consumer. According to a dataset, almost 77 percent of customers read a review of product before they purchase it. On top of that if your business has online customer reviews it creates a sign of trust for the new customer. The customer reviews being bad or good are another question, the mere existence of a review provides the customer with authenticity. It also provides the buyer with a sense that your organization is genuine and that you provide a genuine product. On the other hand, if there are no customer reviews on your website, this just shows that either your product is new and not many people have tried it, or you haven’t put in much effort to help generate reviews. Also, if your business has no online presence or social media profile where people can review the product/service, customers cannot form a guarantee of your product for themselves. So, they are likely to move on to a brand that offers more of an internet presence and customer satisfaction rate. Even if customers do not know the person reviewing the product the mere fact that they can relate with the person reviewing adds to the element of confidentiality. Also, a person talking good or bad about your product out of their own accord goes on to show how much of an impact your product had on them. 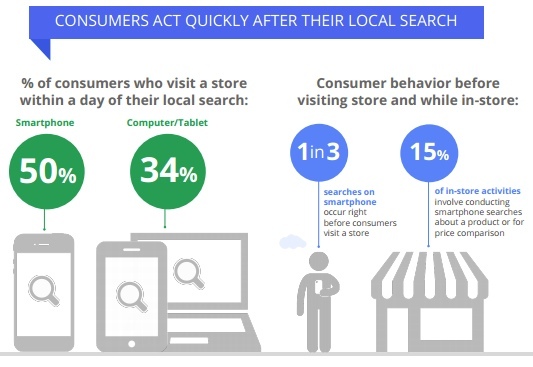 Customer reviews are very important for local products and services so much so that almost 50 percent of users that perform a mobile search result in visiting the store within a day. For example, if you get together with your friends and one of your friends suggest a new restaurant. What is the first thing you do before visiting the place? Check it out on Google of course. It does not stop here, after visiting the website, people may then even search on other popular platforms such as Facebook, Instagram and Twitter. Star ratings are a universal symbol for the success of a business. They do the task of delivering the message easily. For the same reason, they will provide a clear image of your business. They tell the consumer if they should blindly trust you or should they think about trusting you twice. Instantly without even reading customer reviews, if you have a star rating of above three, most customers will trust your product. In short star ratings is a sort of a summary of your reviews. Take the example of an Uber ride to better understand the importance of star ratings. How comfortable would you feel if your uber ride had a rating of one out of five? Often there comes a time when the customer has something to say about your product. Good or bad. Either way, they voice their opinion on Facebook, Google or any other method they choose. In such a situation do not fear your customers. Turn their negative critique into a positive improvement. Tell your customers that you care about them and that their opinions matter. Also, by replying to these customers on all of the different platforms, you show your customers that there are actual humans behind the face of your company. How to increase customer reviews? It is shown that almost 70 percent of customers have left a review after being asked to do so. Asking for customer reviews will help you generate more social proof and increase your brand’s trust for new customers. Whilst it can be tough getting reviews even when asking, those that are very happy and satisfied customers are likely to voice their opinions. One effective way is to automate the process. Once your customers have bought your product or service, automatically after three to four days a review box appears, or they could receive an email requesting a review. If your customer has purchased a product that requires is being delivered to them, a very effective tactic is sending a hand-written letter from the CEO thanking them for their purchase and requesting a review. This usually works fantastic! Whilst time is very important to us all, things like this can be outsourced to various companies that will take control of that side of things. It is important to display all of your customer reviews on your website or on your social media. This is done on platforms like Facebook. It is important to show a history of your customer reviews for your customers in both cases. Bad and good reviews. In cases of good reviews, you let your new customers know that this is indeed a product worth their attention. Given the customer satisfaction rate, you attract new customers faster. On the other hand, in case of a bad review, it gives you an added incentive to rectify your mistake. This not only shows the customers that you care about your customers. It also shows the customers that you are taking their valued input seriously. Showing that they did not waste their money on your product. On the plus side displaying a history of your reviews will help you in maintaining a social media review presence. The more the people are talking about you the more Google will give preference to your searches. Also, if you keep rectifying your mistakes according to your customer’s review. Eventually if not soon you will be the most sought-after brand in the market. Defeating your competitors. 3. Offer incentives for writing reviews. When was the last time you wrote a review? Probably a very long time ago? Not everyone has the time spare to leave a review, but if they receive value from doing so, there’s a better chance they’re more likely to. 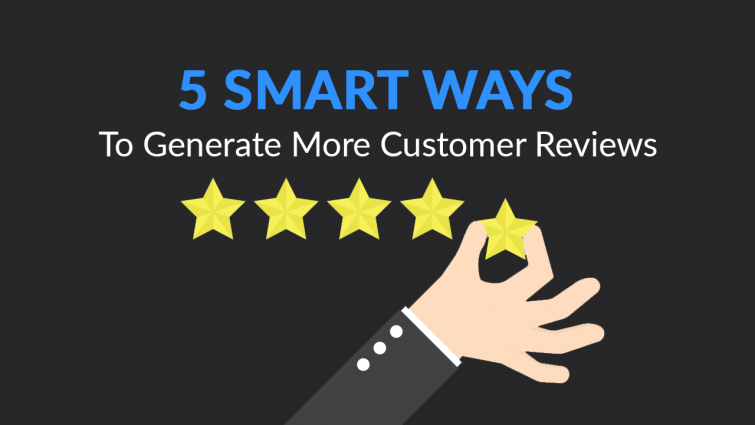 The best way to achieve that is by offering incentives for leaving a review. Another very common campaign we see in line with this strategy is to ask your customers to create a video testimonial. Since the majority of the users are visual learners and even more doubt the authenticity of online text reviews, video testimonials sound like a better idea. Not only that but video testimonials also create an additional emotional appeal to the context. As we can all agree that movie making gives much more room to tamper with a person’s emotions than a small post does. 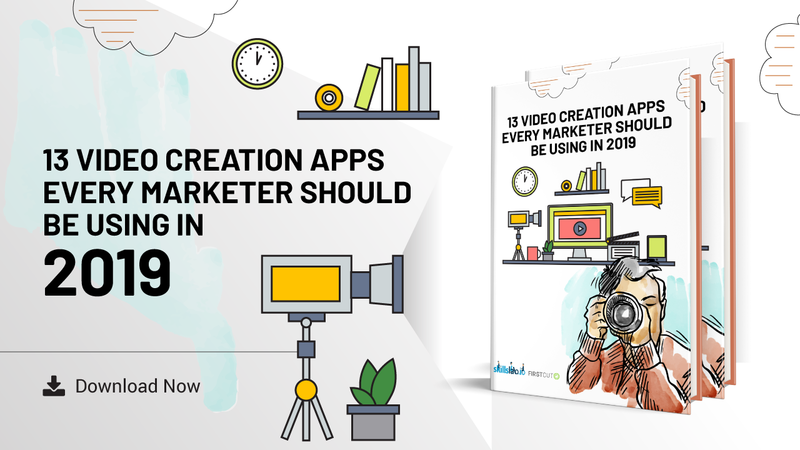 User-generated content isn’t a brand new strategy, it’s been around for a long time. If your customers are happy with your product or service, they’re likely to share it on their social media, especially platforms like Instagram. For example, if a customer stayed in a hotel and the interior was amazing, the staff were very helpful and the food tasted great, they may share a picture on their Instagram, tagging both the location and the brand’s social media handle. This not only increases the publicity of the brand but also increases social trust and acts as a recommendation. In some instances, this is where the brand could reshare that user-generated content providing they have the permission, or the users have tagged a branded hashtag. This is another technique that can be used to attract reviews and most brands can be seen doing it. Sharing existing positive social media reviews is a smart strategy. This strategy reminds the consumer of an existing product and an existing satisfied customer. Promoting the experience of a satisfied customer on social media is always a good way to generate more social media reviews. This is because people tend to react positively once they see how well the company treats its customers. In the modern day, it is very tough to overstate the importance of positive customer reviews. The world is more connected today than ever before. A few positive reviews can go a long way for your business. Most clients conduct research on products before they buy them. They check for brand’s reviews and conduct other searches until they feel they have enough information to make an informed decision.